Can I Qualify for SS Benefits for Severe Anorexia or Bulimia? Eating disorders can come with an array of often debilitating physical and mental symptoms. If these symptoms become so severe that they prevent you from working, you may be able to qualify for Social Security (SS) disability benefits from the Social Security Administration (SSA). However, because the SSA doesn't have a dedicated listing for eating disorders for adults in its “Blue Book” Listing of Impairments, applicants who seek SS benefits for these conditions may face a lengthy and uphill battle. Having a knowledgeable disability attorney by your side as you prepare your application may help, and experienced legal representation can be advantageous in the event that your SS application is denied. 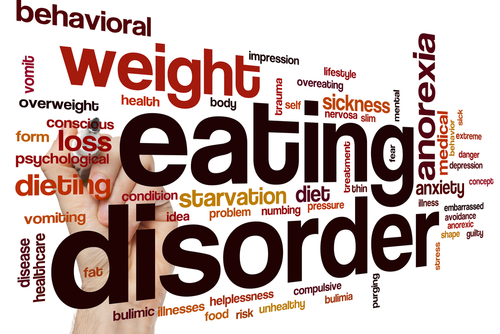 An eating disorder is a physical and mental condition that involves serious problems with eating behavior. Suffering from an eating disorder can cause a variety of symptoms that range from unpleasant to completely debilitating, and even life threatening. Anorexia nervosa, also known simply as anorexia, and bulimia are two of the most common eating disorders in the United States. Anorexia, which is characterized by a dangerously distorted body image and an unrealistic fear of gaining weight, causes patients to severely restrict their caloric intake in an effort to remain slim. Bulimia, on the other hand, is characterized by episodes of “binging” and “purging,” in which the patient dramatically overeats and then rids her body of the unwanted calories by vomiting, taking laxatives, or administering enemas. These eating disorders can occur separately but, in some severe cases, may present in conjunction with one another. Without a Blue Book listing for eating disorders, people applying for benefits must show that their condition meets the criteria for another listing, such as chronic anemia or extremely low body weight. Even if you're unable to meet this criteria, you may still qualify for benefits if your eating disorder is so severe that it has prevented you from working for 12 months or more. Carefully documented medical records can help convey the severity of your eating disorder. For example, the doctor who treats your anorexia or bulimia can complete a Residual Functional Capacity (RFC) form on your behalf. This document outlines your diagnosis and prognosis and discusses how the symptoms of your eating disorder affect your ability to work. Qualifying for SS benefits for eating disorders can be a challenge. However, you may be eligible for benefits provided your condition is totally disabling, and all the medical documentation is presented in a way that meets criteria for another condition. Having a knowledgeable and skilled disability attorney who understands the SS application process can be helpful. Don't waste valuable time and effort trying to work out this complex process by yourself. Contact the legal team at Keefe Disability Law today for a no-cost consultation, or request a complimentary copy of our Report, The Five Most Frequently Asked Questions About Social Security Disability. Our experienced attorneys are ready to help you get the benefits you need and deserve. Call our Framingham law office today for more information. Can I Get SSDI Benefits for Celiac Disease?